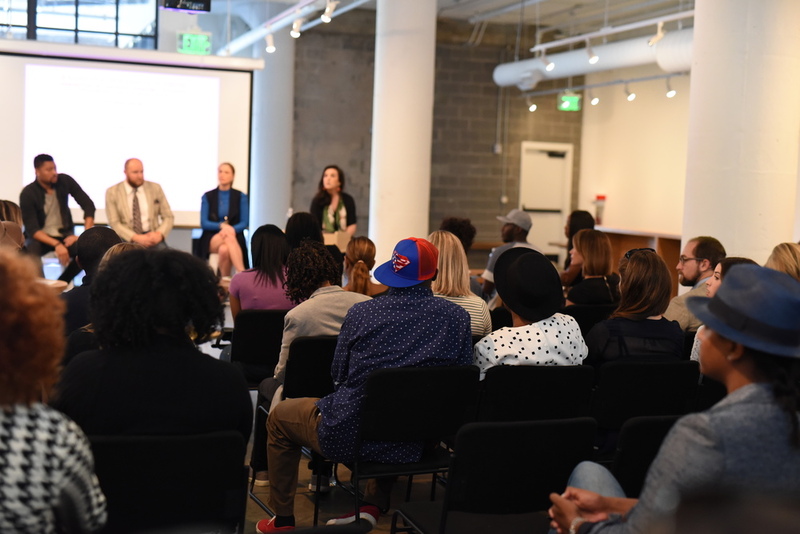 On Friday, General Assembly brought together a panel of four fashion experts along with Jess Graves (The Love List) as moderator to discuss their opinions on the future of fashion in Atlanta and the effect technology is having on the fashion community. 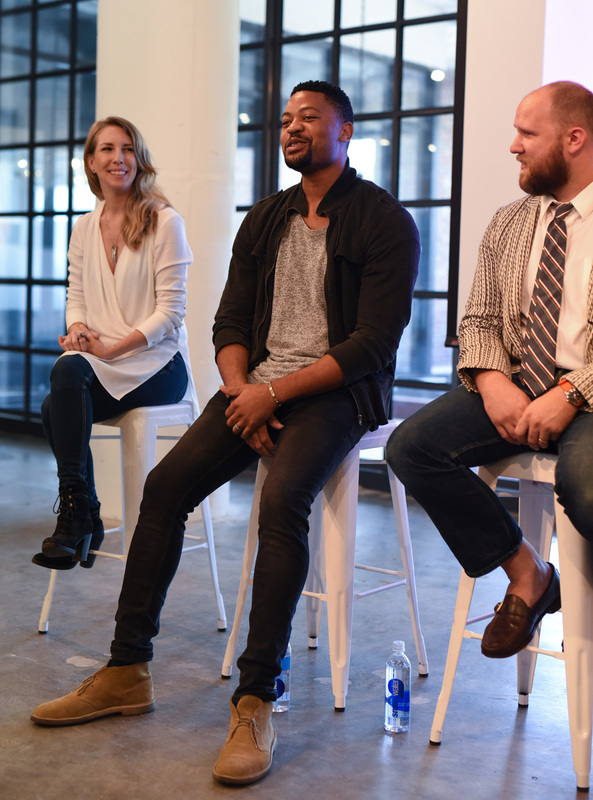 The panel consisted of Rosa Thurnher (Factory Girls), Oakey Nwoke (ATL Fashion Tech Collective), Kirk Stafford (Belfry Shoes), and Rebecca Brodnan (Neiman Marcus). Jess Graves started out by asking the panel to define Atlanta (or Southern) style. She asserted that Atlantans tend to spread their income over various interests (as opposed to pouring it into fashion) and often adopt a uniform driven by tradition. Rebecca said that the rest of the country has a skewed view of Atlanta style and relayed a story about Andre Leon Talley expecting to see us all wearing prairie dresses. Oakey admitted that before he moved to Atlanta, much of his of opinion was formed by what he saw on reality television. Rebecca noted that Atlantans buy great basics and great jewelry so that their wardrobes are versatile and fit their lifestyle. She loves the fact that Southerners are not afraid of print and color. The panel discussed the fact that traditionally style in Atlanta has been divided by neighborhoods and diverse interests, but now we are starting to see some cross-over. Kirk noted that he will now see an older white couple eating lunch in a restaurant on Edgewood Avenue, which would not have happened before. Oakey attributes a lot of this crossover to technology, which is disruptive to barriers. Social media exposes us to different styles and is helping us become more aware of what is available. Rosa said that if it were not for social media most people would not know about the Factory Girls. She said that there is a lot of local design talent but not enough infrastructure to keep them here. The Factory Girls is an incubator that provides support to designers in the form of mentorship, production, and marketing. They have also started an education program to train people in the sewing skills necessary for producing high end garments. The Factory Girls want to provide everything apparel designers need so they can stay in Atlanta and succeed. Oakey mentioned that the fashion business is the hardest type of business to run, and you must have a tech strategy. You need to know how your users engage, where the buttons should be placed on your website, and how big the pictures need to be. Jess stated that you need to know which social media platform works best for your customer. The Factory Girls use Instagram and Facebook whereas Neiman Marcus relies on Twitter. Kirk is excited about the number of pop-ups and start-ups in Atlanta and the fact that the Atlanta community loves to be involved in supporting start-ups and knowing the story behind the products they are buying. 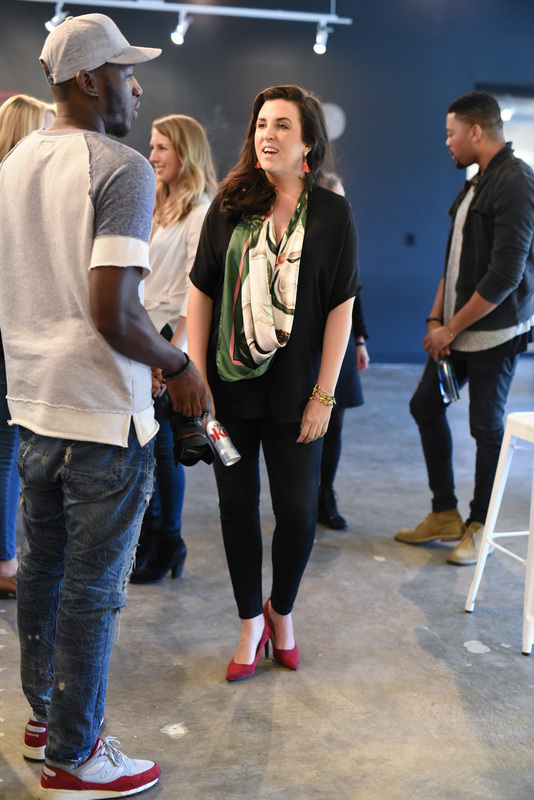 The general consensus from the panel was that there is a lot of emerging talent here in Atlanta, and we need to work together to support each other and to grow the fashion community here. Technology and social media will play a big role in that growth and will help us show the world what is going on in Atlanta. After the presentation, the panelists and crowd mingled offering advice and encouragement to one another. Judging from the appearance of the attendees, fashion is thriving in Atlanta. This barrette is one of Elizabeth's designs. What is your opinion on the state of fashion in Atlanta?